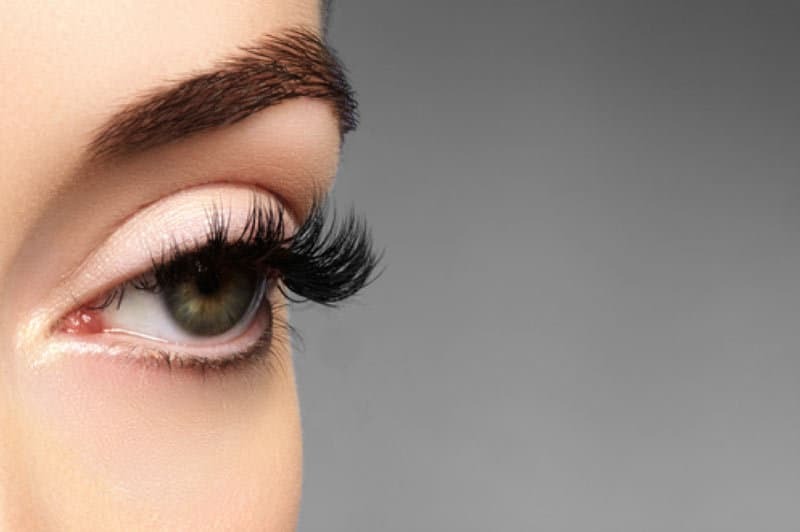 Lash extensions are a wildly popular trend in the beauty industry. In fact, according to a Wise Guys Report, the industry is growing by roughly 1.82 percent year on year, and is expected to reach a market size of $754 million by 2022. If you’re thinking of taking the leap and investing in some lash extensions but don’t really know much about it, take a look at some pros and cons to help you make the best decision. By getting lash extensions, you significantly cut down the time you spend on your everyday routine. Yes, by going to a professional, you are taking time out of your day and it will take some time to get them applied. But afterwards you will spend less time on your everyday makeup routine. Why are long lashes such a sought after beauty trend? They naturally open up your eyes and make you look more awake. Even without wearing any makeup, lash extensions will ensure you have more of a glow without a touch of product to your face, making you look and feel better. Lash extensions are also very versatile. While they can assist in a natural look, they also can look very glamorous when styled correctly with the appropriate makeup. Depending on where you buy your eyelash extensions from, you can also customize them according to volume, texture and color so you’re able to get the exact look you’re after. While from the outside it may look like lash extensions are irritating, you’d be surprised at just how comfortable they are if applied correctly. Easily blending into your face with minimal weight on your eyelids, they are an added beauty bonus with minimal pain or inconvenience. Depending on the glue and material of the extensions, there is a chance that some people may suffer from allergic reactions as a result of getting eyelash extensions. This can be especially harmful considering it is so close to the eye, and can therefore start to irritate your pupils if there is irritation. Do your due diligence and research into what type of extensions would work best for you. While you save time in daily mascara application and your overall makeup routine, eyelash extensions can involve some regular maintenance. Blow-drying, cleaning and brushing maybe part of your daily routine, and can occur more than once a day depending on how often you workout, sweat, shower or do activities that could bother them. Overtime, the glue of the extensions slowly weakens, and in order to get the most value out of them, you have to be cautious not to pull or rip them off. This can be especially difficult when wiping off makeup, as it often requires rubbing and friction that can weaken the eyelash glue. Lash extensions are a great little beauty trick that many women are investing in as part of their regular beauty routine. With these pros and cons, it should be easy to make the decision if they’re right for you.